Anyone who has heard me speak, read one of my tip sheets, or knows me, knows that I am a proponent of living in the moment and not a huge fan, for myself, of using social media. Everyone is different and likes different things so that is just the way I live my life, but I do believe that overdoing anything can have a negative impact. Technology is great and can be a very helpful tool, but like anything else, it has it’s pros and cons. It allows us to work remotely, faster, stay connected to friends, etc. On the other hand, it can lead to unhealthy things as well: limiting interaction with others, creating anxiety by always being connected, leading one to always expect immediate responses, distracting us, and causing us to compare ourselves to others. Boundaries. If you don’t have boundaries for answering your phone, texting, emailing, etc. clients, friends and family will assume you are available all the time. For example, set a bedtime and decide for yourself what time you put the phone and all other screens away for the night. Create a system where you update your clients on their matters on a routine basis, and educate your clients on when you return calls, emails, etc. This will lower their anxiety and decrease the number of phone calls, emails, etc. from your client seeking an update. Ultimately, this will have a healthy impact on you and your practice. No screens an hour before bed. 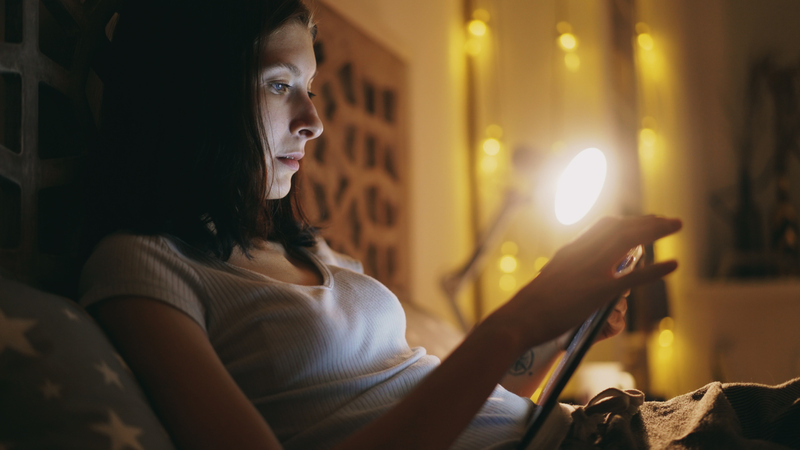 Bright lights from the screens of your devices can affect melatonin, a hormone that regulates your sleep. So put the phone down, and create a healthy bedtime routine, that allows you to clear your mind and prepare for restful sleep. Avoid looking up medical concerns on the internet. This has been known to raise anxiety significantly. Medicine is very complex and looking up your symptoms is only part of finding out what is going on. If you don’t feel well go to your doctor and avoid the internet. Enjoy the people you are with. I don’t know how many times I have been in a restaurant and seen people on their phones texting the entire time. Maybe they need to be spending time with the people they are texting? Have a “no phone” dinner rule. Leave the phones in the other room and sit down with your family or friends for dinner and actually talk to each other. Don’t compare yourself to others. Social media is a great way to connect with others, but it is only a snapshot into someone’s life. It doesn’t give you the whole picture of what is going on in someone’s life. In other words, don’t assume someone’s life is exactly what you see on social media, and don’t compare yourself to them. Comparing yourself to others can lower your self esteem, increase depression and anxiety. Stay in the moment. Social media can keep us from enjoying our lives in the moment or help you avoid improving what might be causing your unhappiness. Constantly checking your device and looking for validation, attention, or affirmation from others, consciously or subconsciously, can increase your anxiety. Use devices with intent. Rather than living your life on autopilot, know why you are doing what you are doing. Make a choice to decide when, where and with whom you will be in contact. We lose out on life when we are not living with intent and making active decisions in our life. Take a look at your internet and social media use. If you think you use too much, you most likely are. If you feel like internet and social media use has taken over your life, reach out to the Lawyer Assistance Program. For assistance, please contact the Lawyer Assistance Program for free, confidential counseling. We have a network of counselors throughout Maryland. Jim Quinn, Lawyer Assistance Director, (443) 703-3041, jim@msba.org; Lisa Caplan, LCSW-C, Associate Director, (443) 703-3042, lisa@msba.org. 24/7 Toll Free 1(888) 388-5459. Lisa Caplan, LCSW-C, has over 20 years experience in her field, and extensive experience working with lawyers and judges in the areas of mental health, substance abuse and trauma.